This game controls with the WASD keys--right from the title screen, just move and have fun. If you're not sure what to do, try bumping into things. 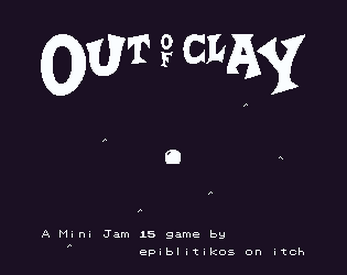 This is my entry into Mini Jam 15, the theme for which was technology, and the limitation for which was a specific 8-color palette. For the initial deadline, it was a bit light on the theme, but I've since finished out the admittedly simple collide-while-carrying crafting system. Explore and transform the world around you as you find out where, what, and why you are. PS - His name's Blobert. It's canon. v1.0 - End-game gameplay now in place! How will you get more seeds? Yes, certainly! You have to manage your resources correctly in the final phase, i.e. you can definitely lose the game too. Now that you mention it, I should probably add something that will let you know you've gone too far to turn back. Oh yeah, pretty much by definition! Some of the lack there is by design, but I think what I will add is an indication of one of the options that isn't as obvious as it could be. It's not letting me pick up the logs once I chop down the trees. Otherwise, an interesting concept. Try bringing something else to them ;) And thanks!